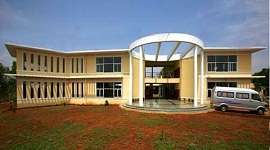 Bapuji Ayurvedic Medical College Shimoga is the well known ayurvedic medical college in Shimoga district, malnad region of Karnataka. The college was established in the year 1996. BAMC is a private college, approved by Central Council of Indian Medicine, Government of India and affiliated to Rajiv Gandhi University of Health Sciences, Bangalore. BAMC has 10 acres of campus area with Main administrative block, hospital, college block, canteen and hostel. The college has well equipped Laboratories and well stacked library. The college is associated with hospital facility so that students will get clinical experience along with class room teaching. The college has highly qualified and experienced staff to enrich the knowledge of students. Seminars, Guest lectures, CME and Workshops are being organized to accomplish academic development of students. 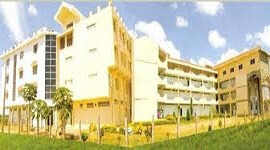 Separate hostel facilities are available for boys and girls in college campus. The rooms have wardrobes, cots, book shelves, study table with sitting chairs and attached bath rooms. Hostel canteen serves quality and hygienic food to hostilities. Only vegetarian food will be served at hostel. BAMC has an Audio visual room for the use of Inter Departmental seminars, Guest lecturers etc. The college is provided with a computer and projectors. College library has a rich source of knowledge in well organized form of books, journals, magazines, manuals, thesis and periodicals. The college has a collection of books on Ayurveda. Digital library and computer services are provided in the library. BAMC campus has a Herbal garden with drip irrigation and has varieties of herbs, shrubs and rare plants. The college has transportation facility for students to commute to and from college. The pharmacy has variety of medicines in accordance with ayurveda treatments. Ambulance service also provided if necessary. BVV is approved by Central council of Indian Medicine (CCIM) and affiliated with Rajeev Gandhi University of Health Sciences . The college offers course for students on Bachelor of ayurvedic medicine & surgery courses. Herbal garden is situated in the college campus in an area of 1 acre with drip irrigation and has a collection of 200 varieties of herbs, shrubs, and rare plants. The college hospital is manned by sufficient number of efficient and experienced medical & paramedical staff, therapists and technicians. 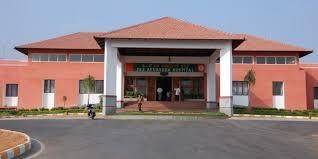 The hospital is equipped with panchakarma theatre and special treatment rooms. 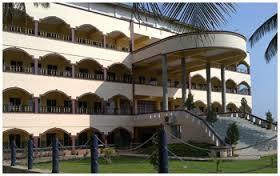 Separate hostel facilities are available for boys and girls in college campus. Each room is provided with wardrobes, cots, book shelves, study table with sitting chairs and attached bath rooms. The institution also has an Audio visual room for the use of Inter Departmental seminars, Guest lectures etc. The college is provided with a computer and projectors. Wide variety of medicines are available in accordance with ayurveda treatments. They can also open their own clinic and treat people. All the museums like Anatomy, Dravyaguna, etc. are equipped with essential materials, charts , models, specimens and preserved goods as per CCIM norms. 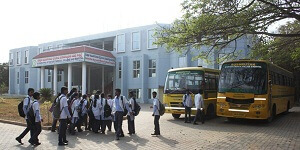 College has 2 own buses to provide transportation to students.